With acts ranging from the “Aerial Hoop” to “Russian Swings”, Austin will be thrilled to see performances of Cirque du Soleil’s Varekai soon. From February 26 to March 2, seven shows will be performed at the Cedar Park Center. This is the show’s ninth tour stop since December and 8 million people have seen this critically acclaimed production since it first premiered in Montreal in 2002. Varekai has visited more than 72 cities in 20 different countries and features an international cast of 50 performers from all around the world. How great is that? Cirque du Soleil is a Québec-based organization performing high quality artistic and acrobatic entertainment. With more than 5,000 employees, Cirque du Solei has brought wonder to more than 100 million spectators in over 300 cities around the world. Children and children at heart just love it. In fact, it’s jaw-dropping stunts and action. 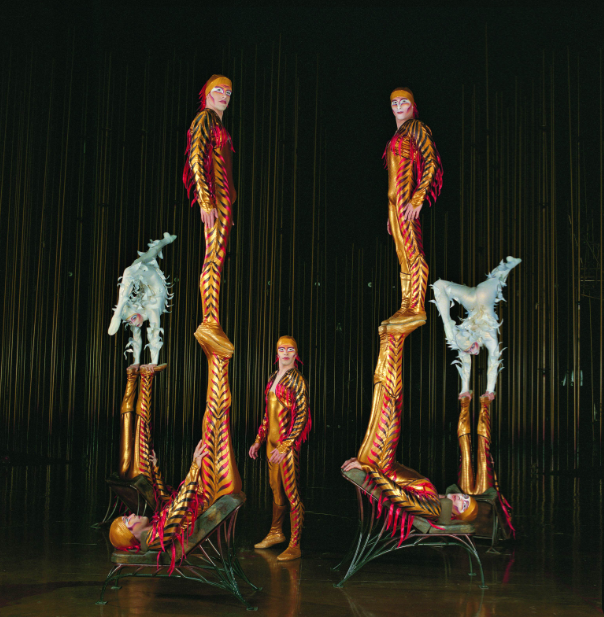 Written and directed by Dominic Champagne, Cirque du Soleil’s Varekai brings a fusion of drama and acrobatics. With their mission to invoke the imagination and provoke senses, this is an opportunity you will not want to miss. With Varekai hitting North America, its Austin performances are your perfect opportunity to see this spectacular show at the Cedar Park Center.